As traditionalists (1), we believe in the doctrine of cosmic cycles (2) and therefore we know that our present time matches with the last cycle, the one which is known by the name of Kali-Yuga (3). This particular cycle is the darkest one of all four cycles and affects every aspects of life in general. Thus human beings, civilizations and politics cannot escape its corrupting power. This is an important fact to keep in mind. However, the cycle ends only to start up again with the first one, the Golden age or Krita-Yuga, the dark days leaves room for a new era. Yet in the meantime some of us, the youth, feels the urge for political action but need a strong formation to face the abominations of our post-modern societies. Right-wing is a wide concept after all, as it is the same for the Left. In France – we give this example because we know the situation of this country very well – the Right means ‘Economic Right’, even if it appears sometimes more progressive, sometimes more conservative. Within its scale of principals, the economic principle is always the highest and all the others are subordinated to it. Here is a clear example of a final stage of involution. The definition of what should be considered the real Right is an imperative task. Among the numerous topics he dealt with through his writings, Julius Evola wrote numerous articles about that question. The Italian philosopher, often reduced to an ‘esoteric fascist’, embodies himself the man of the Right. His writings but especially his deeds made him a living example of the uprightness one would try to attain. The neo-fascist youth of post WW2 Italy was not wrong to seek all the gems herein Evola’s books in order to build its doctrine. 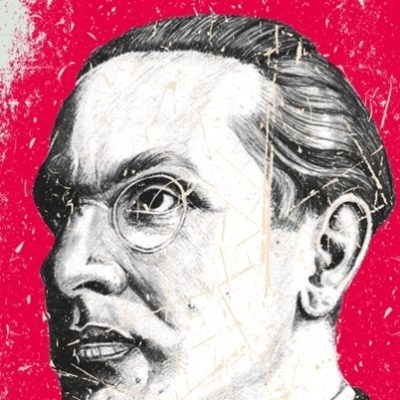 Originally published in Hungarian at the end of 2012 as an anthology of Evola’s articles about the youth and the Right, A Handbook For Right-Wing Youth is now available thanks to Arktos in English. We hope that a french version will see the day sooner or later. Indeed, Evola’s influence on the now famous french Nouvelle Droite and all its heirs (from identitarians to national-revolutionary and traditionalist-revolutionary militants), not to mention the founder of this website Georges Feltin-Tracol (4), contributors Daniel Cologne (5) and ourselves, is simply huge. 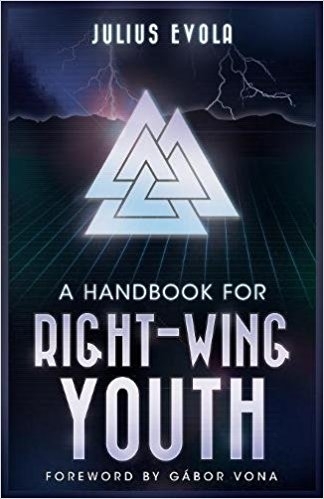 A Handbook For Right-Wing Youth contains seventeen texts, mostly press articles but also some excerpts from books like The Bow and the Club and the entire essay Orientations. It includes a foreword by Gabor Vona who is the Chairman of Jobbik and bibliographical notes by Robert Horvath. We also must stress the numerous footnotes and the quality of their explanations. The reader ends up with a handbook intended for militants but also for anyone yearning to discover Julius Evola. ‘Yet it is also possible to leave all institutional assumptions aside and speak of the Right as a spiritual orientation and worldview. Aside from opposing democracy and all ‘socialists’ myths, belonging to the Right means upholding the values of Tradition as spiritual, aristocratic, and warrior values (possibly with references to a strict military tradition, as in the case of Prussianism, for instance). Moreover, it means harboring a certain contempt for intellectualism and for the bourgeois fetishism of the ‘cultured man’ [...]’ (p.50.). Throughout the different texts herein the book, Julius Evola stresses how the real Right is: anti-egalitarian, anti-materialistic, anti-democratic but spiritual and heroic. In one word traditionalist: ‘In this sense, the concept of Tradition applies to a system in which ‘all activities are in principle ordered from above and have an upward direction’ (p.37.). 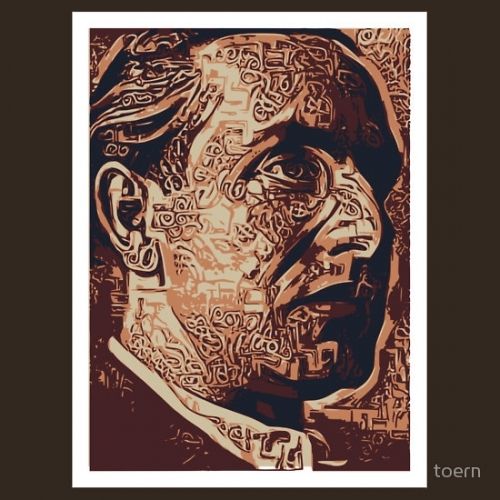 In addition, Julius Evola aims at the main sources of infection which must be fought according to him (Marxism, Psychoanalysis, existentialism and Darwinism) and give some clues on the cultural domains that the Right should focus on, one of them being the historiography. About the second subject Robert Harvath points out ‘that the subject of youth was not among Evola’s central concerns; it’s a thin, but visible, line that runs throughout his entire oeuvre’ (p.150.). When writing about the Youth, Julius Evola either encourages an autre jeunesse or, on the contrary, criticizes it. The latter belongs to the average youth so to speak and Evola focused especially his critics on students and beatniks like in Against the Youth or Some Observations on the Student Movement, both featuring in this handbook. ‘Not letting oneself go is what is crucial today. In this society gone astray, one must be capable of the luxury of having a character. One ought to be such that, even before being recognized as the champion of a political idea, one will display a certain conduct of life, an inner coherence, and a style consisting of uprightness and intellectual courage in every human relationship’(p.1). ‘As spirit there exists something that can serve as an outline for the forces of resistance: it is the legionary spirit. 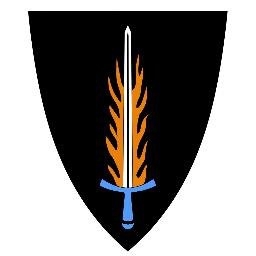 It is the attitude of one who knows how to choose the hardest life, to fight even when he knows that the battle is substantially lost, and to confirm the words of the ancient saga: ‘loyalty is stronger than fire’. Through him the traditional idea is affirmed’(p.7). ‘Inner action must precede all other actions’(p.3). We believe that these advice are of first-hand importance even if Evola wrote about more strictly political themes like the imperial idea, corporatism, occult war or the ‘demonic possession of the economy’. Some people like Claudio Mutti hastily made Evola an admirer of islam since he positively showed to his readers the warlike mentality of this particular religion and its concept of greater jihad. What he wanted to show (and mostly liked) is this ascetic process, this almost alchemical transformation of oneself to reach something higher. His interests for magic, which he explored in company of Arturo Reghini (6) in the Ur-group, his interest for vamachara tantra or mountaineering are facts that tend to prove our point. Concerning this collection of texts, we could have appreciated if the last parts of Evola’s Ride the Tiger (6) which consist in a bunch of precepts to be and become in this dark age of Kali-Yuga could have been added. Also, and this would have been a necessary addition according to us, some texts or excerpts from his writings about race, which would have been an excellent correcting concerning racialism. ‘The tragedy of this situation is that the tools of the Left are infectious. This creates a political catastrophe, which is extremely common nowadays: the landscape of the so-called Right is in reality becoming more and more filled with Leftist ideas, and allows the Left’s borders to approach closer and closer, displaying and mainstreaming the pseudo- or fake Rightism. Of course, this results in total confusion, schizophrenia, and a chaos of ideas’ (p.11. Of the foreword). This is the greater danger the real Right faces now. National-Bolshevism and nazi-maoism left aside (even if their Third-Worldism was ideologically harmful), we clearly identify a strong ‘leftisation’ of the French Nouvelle Droite (especially of one of its prominent figure Alain de Benoist) and what the mass media names Far-Right. The prevalence of the social and economic question, the critics of liberalism from a marxist perspective and worse, the abandonment of the defense of our people’s race – the number one emergency for most of western European countries – and the will to even avoid such words and topics are true signs of degeneracy. We do not have the time and should not bother analyzing the causes; the fruit is too far rotten. The time to rebuild a true Right is now. Julius Evola’s books and A Handbook For Right-Wing Youth are more than necessary readings in order to set les idées à l’endroit! (1) By ‘traditionalist’ we mean someone who refers to the meaning of the word explained by René Guénon. (2) The doctrine of cosmic cycles is often understood as Hindu concept, yet it corresponds to Hesiod’s ages of Man as well. (3) It is the same than Hesiod’s age of iron or Nordic age of the wolf. (4) Born in 1970, Georges Feltin-Tracol is the editor-in-chief of the Europe Maxima website as well as the author of numerous books and articles. Being a long time militant for the Greater Europe, he always claimed Julius Evola’s influence on his work. (5) Born in 1946, Daniel Cologne is a journalist and essayist. He wrote several books about Tradition and worked with the traditionalist magazine Totalité. (6) Born in 1878, Arturo Reghini was an Italian free-mason and was considered as the most famous Italian Pythagorean. (7) Julius Evola, Ride the Tiger: A Survival Manual for the Aristocrats of the Soul, Inner Traditions, 2003, 256 pages. I bet big on Donald Trump in the 2016 elections, rather famously. Now I will be shorting Trump stock for the foreseeable future until Bannon, and Bannon-ism, returns to policy dominance in the White House. Should Trump ever lose Bannon entirely, Trump is a lame duck. Some media suggest that Trump could replace Bannon with Jared Kushner. Jared Kushner is to Steve Bannon what Dan Quayle was to JFK. Bannon – uniquely among the Trump team – threads together the policy weaves of the Trump electoral majority, a majority dependent upon newfound GOP support from the working class, especially in the northern half of the country, but also the southern upcountry and Appalachia. No preachy politics. These voters want neither Southern Baptists nor Hollywood celebrities lecturing them about morality nonstop. They generally take a more libertine approach on marijuana, especially amongst the younger cohorts in this constituency. (Many of these communities were moonshine communities back in the day, especially the Appalachian communities. You will find a not too surprising overlap between marijuana and moonshine communities historically.) The Appalachian communities and their kindred constituencies cast decisive votes in more places than West Virginia, Tennessee, Indiana, and Kentucky. Appalachia dips into Pennsylvania and Ohio, helped make Virginia competitive, tipped the balance in North Carolina, and shares a lot in common in political mindset with places like the Minnesotan Iron Range, the northern woods of Wisconsin, the peninsula of Michigan, and the countryside of Iowa. They are often Christian but more likely to be Saturday party-goers than Sunday church-goers. No more dumb war. Voters from the ancestral regions of the Union draftees after the Civil War – from northern Maine to the Minnesota Iron Range – have, ever since, instinctively viewed war with suspicion. Study the voting patterns of this kind of county, and you will find that sudden surges turn out to oppose various wars. The heart of "isolationism" was a Midwestern phenomenon in the same regions that tilted so heavily toward Trump in the election. It is not a coincidence that areas with historic antiwar tendencies – from east Tennessee to western Wisconsin, from rural Iowa to northern Maine – were some of the biggest pro-Trump trending areas in the country, nor that two states that formed the heart of antiwar politicians in the past (like Ohio's Taft) bolted so heavily toward Trump. Trump used his war-skeptical views to outflank the war-loving Hillary on both the working-class left and right, giving him the keys to his electoral majority, heisting Bernie primary voters along the way. Betray this group with another Mideast war, and Trump endangers his electoral majority permanently. That is where Bannon's inclusion in national security decisions remained critical for Trump's own political future. No more job-killing deals. The global-focused economy of finance and real estate enriched the urban port cities at the expense of the rural- and middle-America small-town heartland, who make our food and make our products. Trump, despite profiting from that largely coastal port-city world, promised to reverse that economic bargain. 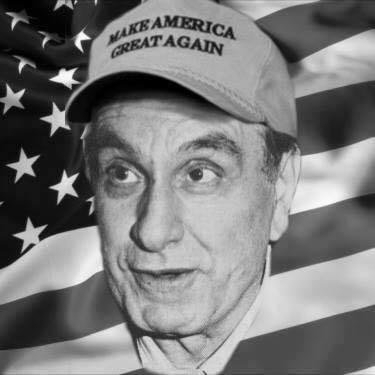 Trade, immigration, and infrastructure all allowed him to carve out distinguishing traits, while also promising a protective government that does not over-rely on regulatory bureaucracy in areas of health, education, and energy. Tax reform took its role, as did Obamacare reversal, but it all fit into a different fabric of policy ideals from traditional Republican economics, meant to appeal to a GOP-skeptic northern working class rightly skeptical of Ryan economics and McCain foreign policy. Bannon understands, intricately, each of these issues and, as important, the intimate way each of these issues connects the new constituencies of the Trump electoral majority. Bannon also understands the adversary – an alliance of Deep-State, administrative-regulatory-state, professional-class career bureaucrats and their media lapdogs and allies. Bannon also enjoys another unique attribute: actually overcoming them, in the public area of persuasion (the extraordinary rise of Breitbart against a media blackout of the site) and the electoral arena of actual elections (feeding the Tea Party, then fueling Trumpism). 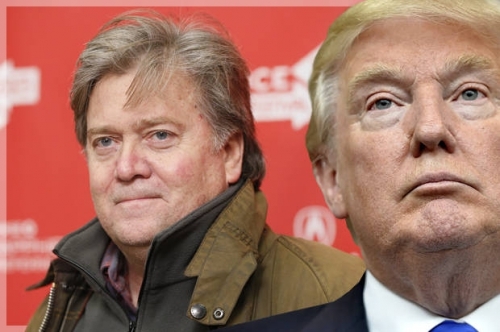 Bannon politically is to Trump what Carville was to Clinton, Atwater was to Poppy Bush, and Kevin Phillips was to Nixon, but he also enjoys a consigliere-type skill set for actual policy that gives strategic substance to Trump's gut-driven, emotive decision-making. Trump's instinctive ingenuity and persuasive mastery cannot substitute for Bannon's integration of policies and constituencies in actually governing. Kushner's apparent deference to the war-mongering elements of the national-security establishment and the bank-adoring financiers of Wall Street reveals that he suffers from the same delusional understanding of politics and policy that got the GOP so hated by its own base over the last half-decade. Kushner looks to the approval of Goldman Sachs; Bannon looks to the approval of those who hate Goldman Sachs. Lose Bannon, lose the country. Lose Bannon, lose the presidency. Trump needs to bet on Bannon, or it will be time to no longer bet on Trump. Guillaume Durocher gave a speech about tradition and ancestry at Erkenbrand's first Pool Party of 2017.